How much RAM, or memory, do I need in my PC? A big concern for computer buyers is how much memory they want to have in their next investment. This is understandable — the amount of RAM you have determines some aspects of video game performance and rendering distance, but also how many programs, tabs and processes you can have running simultaneously. Quantity of RAM isn’t the only thing to consider, either: quality is definitely something you also want to keep in mind. The speed RAM runs at is important to consider as well. For the purposes of this article, we’re going to divide users into four groups: Casual User, Office Worker, Gamer, and Enthusiast. Each of these groups needs a different amount of RAM. There are also a list of terms at the bottom of the page, in addition to further advice. Casual users are going to want 3 to 4 GB of DDR3-1066 or DDR3-1333 RAM. Consider yourself a casual user if you use your computer for social networking, web browsing and word processing. Light gaming is also possible on this lower configuration of RAM, and it should still serve you well as long as you aren’t running other applications in parallel. Note that having 4 GB or higher amounts of RAM is useless if you aren’t using a 64-bit version of Windows. To verify if you’re using a 64-bit edition, open System Properties in your Control Panel. 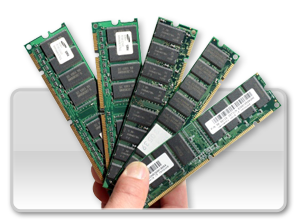 Office workers are going to want 4 to 6 GB of DDR3-1600 or DDR3-1800 RAM. If you’re an office worker, you run many applications simultaneously and may be running a lot of productivity applications, such as Photoshop and Dreamweaver. If your professional life centers around what you do on the computer, you’re going to want to have a good amount of fast, efficient RAM. RAM in a gaming rig. Gamers are going to want 6 to 8 GB of DDR3-1866 or DDR3-2000 RAM. Gamers will be running newer games at high settings, as well as some heavier applications in and out of gaming. Lower configurations of RAM are just fine for gaming — all you really need is 4 GB of RAM to enjoy most games — but you’re still going to want that extra hardware power for when you’re doing what you love. 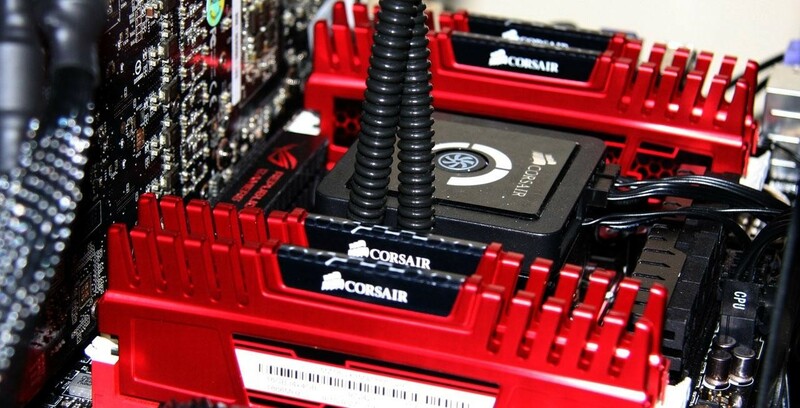 Enthusiasts will want anywhere from 8 to 16 GB of DDR3-2133 RAM or higher. This is for the person who runs heavy applications, in addition to using rendering software, doing software development work, programming…this is for doing the heavy lifting without breaking a sweat. Enthusiasts will spend a lot of money on every aspect of their system, not just their memory. DDR stands for double data rate. That means it’s accessed twice for each one of your processor’s clock cycles. DDR3 and DDR2 are two different kinds of RAM, with 3 being newer, but the speed discrepancy depends on the digits at the end — DDR3’s higher tiers can’t be matched by DDR2’s. Memory can refer to either static memory and dynamic memory. Static memory is storage space, like on your hard drive — but dynamic memory is your RAM, which is in constant usage. To check what kind of RAM your system supports, use Crucial’s System Scanner. It’s fast, safe and easy, especially if you don’t want to dig around Newegg or Amazon. DDR3 RAM does not need to be installed in pairs on modern motherboards. However, installing memory in pairs grants double the memory bandwidth. You can install memory with mixed speeds. However, this will result in your system defaulting to the slower memory speed required, and you’ll get less performance than what you should out of it.